Skin cancer is the most common cancer in Ireland. Yet in most cases, it is preventable and early detection leads to better outcomes. With rates projected to treble over the next 25 years, how can this trend be reversed? Healthy Ireland (HI) is the national framework for action to improve the health and well-being of people living in Ireland. HI, along with colleagues in the National Cancer Control Programme (NCCP) are developing a national skin cancer prevention plan, which is an action arising from the National Cancer Strategy 2017-2026, published in July 2017. A steering committee was established earlier this year, and Irish Skin Foundation (ISF) was delighted to be among those invited to participate. The skin cancer prevention plan is informed by best practice in Australia, and elsewhere. Australian research has demonstrated the effectiveness of well planned, resourced, executed and sustained campaigns to have a lasting impact. The HI approach is well-aligned with the ISF’s advocacy position on skin cancer, which is to tackle the increasing prevalence of skin cancer with a long-term strategy aimed at changing public attitudes about prevention and early detection. The ISF has argued that this multi-annual, long-term work is best coordinated by a well-resourced and independent state agency, such as Healthy Ireland, that can be driven in schools, work places, and local authorities. On Thursday October 25, HI and the NCCP held a stakeholder consultation meeting. Participants included representatives from organisations with a stake in dermatology and skin cancer prevention, including primary and secondary care, HSE Dermatology Clinical Programme, Irish Association of Dermatologists, patient organisations, skin cancer charities, and others. The meeting was chaired by Ms Kate O’Flaherty (HI) and guest speakers included: Professor Kerri Clough-Gorr (Director of the National Cancer Registry), Mr Kevin O’Hagan (Cancer Prevention Manager, Irish Cancer Society), Mr Gerry McElwee and Ms Marbeth Ferguson (Cancer Focus Northern Ireland). Ms Aine Lyng (NCCP) presented a draft series of skin cancer primary prevention action pillars. Consultation will all parties followed, with exchanges of views and feedback facilitated by a round-table format. 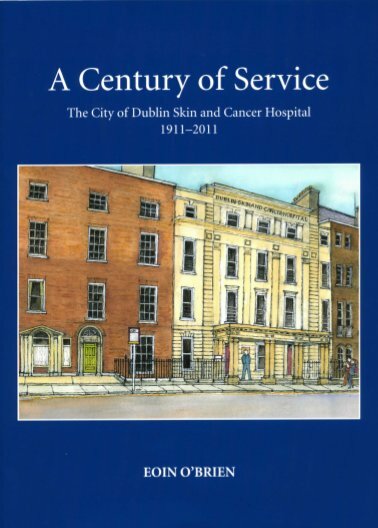 As Ireland faces increased incidence of skin cancers year on year, the ISF is eager to have a national plan similar to Australia, which in 2014, became the first country in the world to bring about a reduction in skin cancer rates (both melanoma and non-melanoma) in the under 45 age group. This was the result of 30 years of public awareness campaigns around skin cancer prevention. The ISF very much welcomes HI’s emphasis on the importance of skin cancer prevention and expectations are high that the prevention plan will be implemented as a priority.